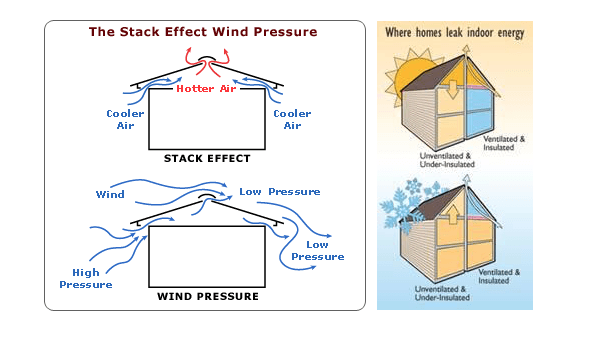 When creating an energy-efficient, airtight home through air sealing techniques, it’s very important to consider ventilation. Unless properly ventilated, an airtight home can seal in indoor air pollutants. 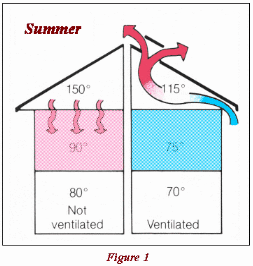 Ventilation also helps control moisture—another important consideration for a healthy, energy-efficient home. To ensure adequate ventilation, the American Society of Heating, Refrigerating and Air-Conditioning Engineers (ASHRAE) says that a home’s living area should be ventilated at a rate of 0.35 air changes per hour or 15 cubic feet per person per minute, whichever is greater. 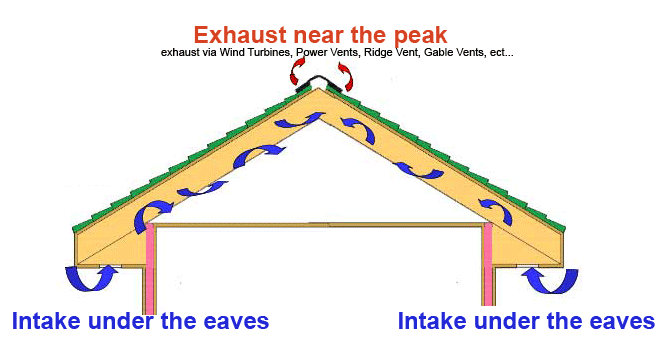 Proper roof ventilation is comprised of the correct ratio of both intake and exhaust to create air circulation in and out of the air space being ventilated. There are a number of ways that proper roof ventilation can be achieved and each have advantages and disadvantages. The size and shape of the roof, objects such as trees and other structures, all contribute to factors of consideration when designing and deciding on best solutions for proper ventilation. 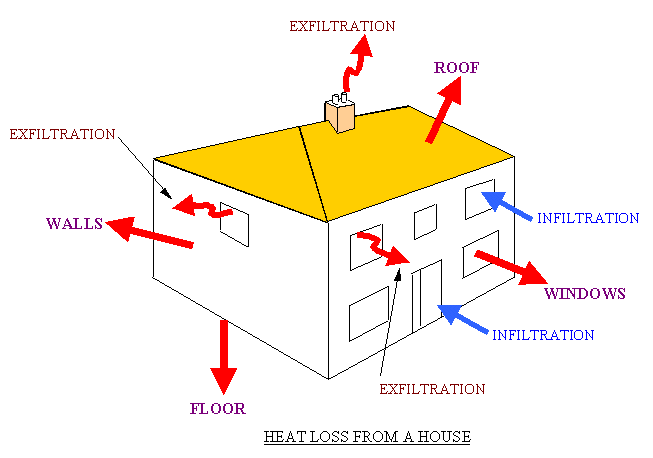 Incorrect air flow can prevent the ventilation process from occurring and have serious consequences. Lack of proper ventilation leads to higher energy bills and moisture build up in attic eventually leading to warping, splitting, cracking structural defects and generally damaged roofs. Most roofing product manufacturers void all warranties if proper ventilation according to specified standards is not in place due to probability of premature product failures. 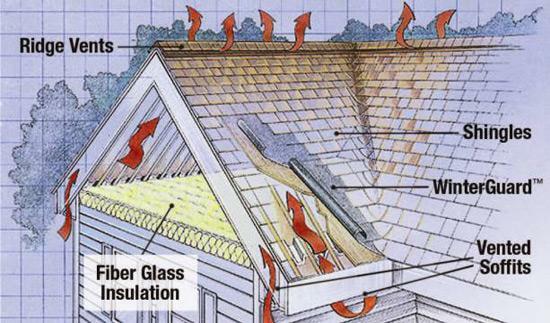 Proper ventilation systems will affect the life of the roof system by 25% or more.